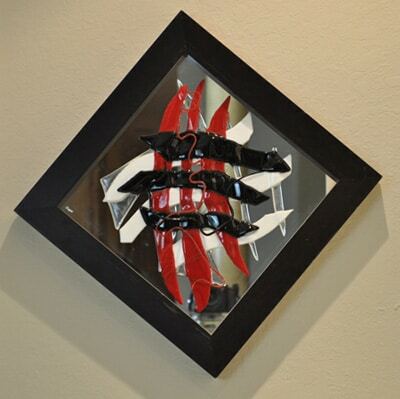 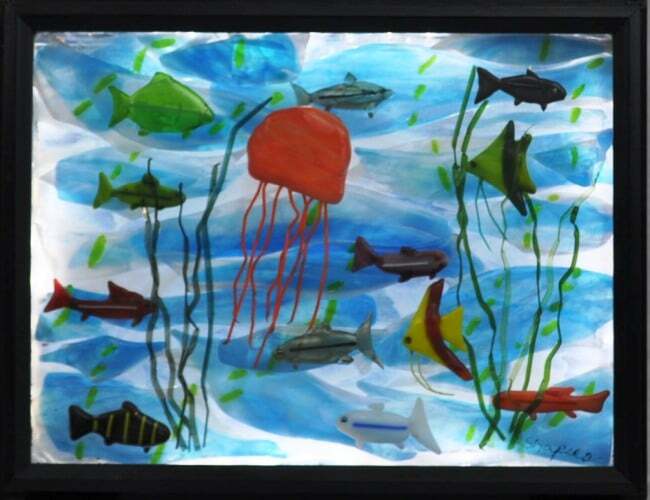 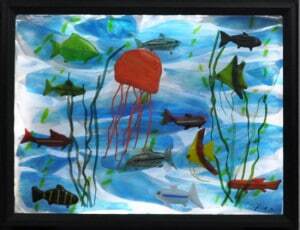 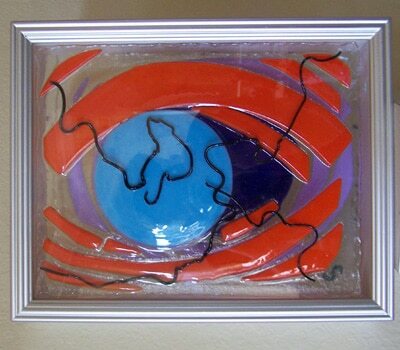 I began working with fused glass two years ago when a dear friend and colleague of mine introduced me to the process. I immediately became infatuated With the medium and the new world of infinite colors. 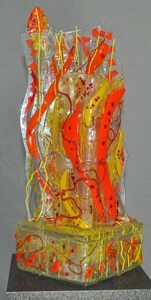 The medium is very difficult to work with because glass behaves the way it wants to and not always what the artist had in mind. This sometimes works in my favor. 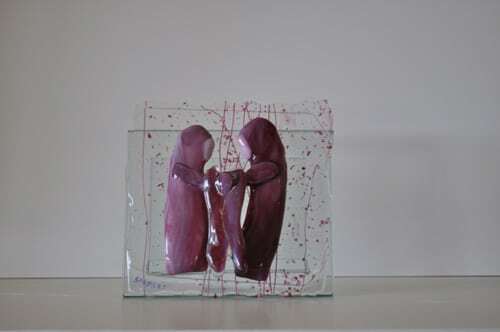 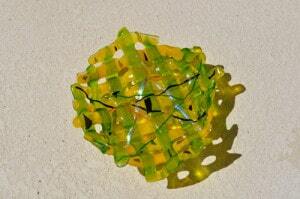 Being a three dimensional artist I began working glass as sculpture. 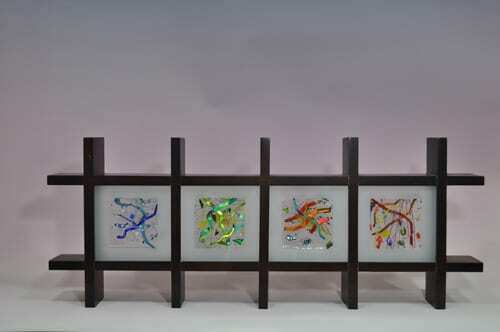 This year I had the idea to combine glass with translucent stone. This has opened up a new area to explore but the two mediums are difficult to marry. When they finally merge, the result is awesome.